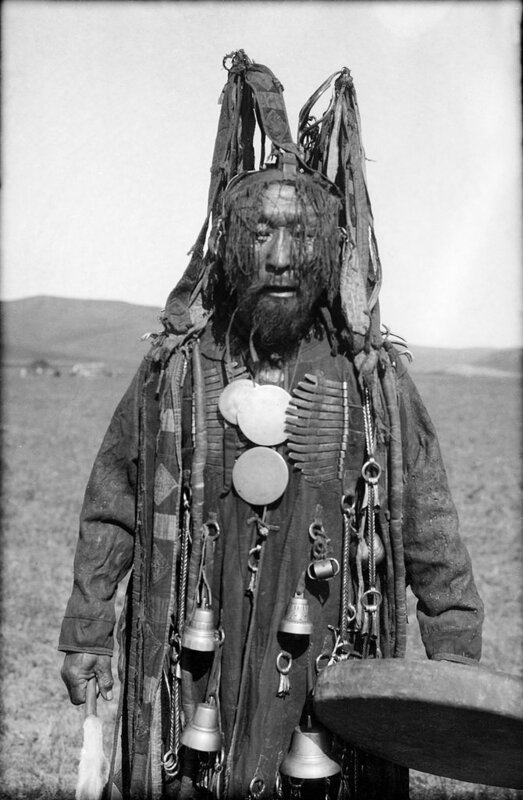 The word "shaman" entered our modern languages from the Evenki people/ Siberia. In their language it describes a person who is excited or in ecstacy. Asked after a job description, Evenki shamans describe it as "keeping the balance between the visible and invisible worlds." normal or even troubled people, consumed by their work. They are very often feared and if possible, avoided. It is a little bit like the fire department: you re happy to see them if you need them, but even more when not. Shamanism is clearly not a religion by itself, more a development or blossom of animism, meaning a mindset, that all existence is interwoven with spirits or intelligences. Markings of a shaman are f.ex., that he or she possesses no individual power, all power comes from the spirits. The shamans special ability though is to control or ride these. Is the person controlled by spirits, we call it a medium. Also plant medicine is not necessary a part of traditional shamanism, here lies the difference to the medicine man. Shamans usually are recruited from among the little special, but intelligent members of the society/ tribe. People who are in balance with themselves and the world. If that is not the case, the shaman will become evil and only interested in him or herself.